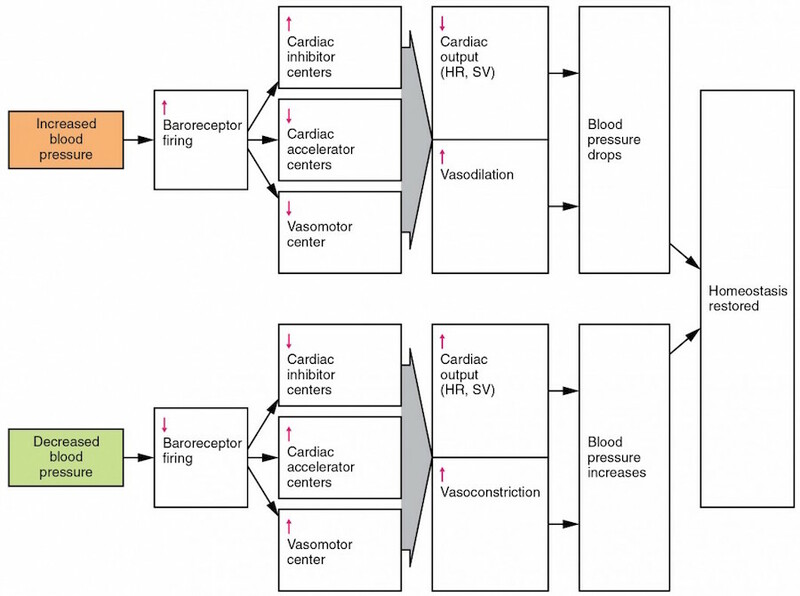 The key to developing a realistic healthcare simulation experience is to understand how physiological functions change in response to various stimuli (stressors). Learners are more likely to focus on desired learning objectives when they participate in life-like scenarios and receive information which is consistent with the clinical situation being studied. This article, which focuses on the basics of hypovolemia, is part 6A of a series of articles entitled Physiology, The Force Behind Simulation – A Guide for Sim Techs. A second article on the response, treatment and incorporation of hypovolemia into simulation (Part 6B) will be published soon. The complete list of guiding Physiology series articles is linked below, and the first article in the series entitled blood pressure is a helpful primer for understanding hypovolemia! Today’s article was guest authored by Kim Baily PhD, MSN, RN, CNE, previous Simulation Coordinator for Los Angeles Harbor College and Director of Nursing for El Camino College. Over the past 16 years Kim has developed and implemented several college simulation programs and previously chaired the Southern California Simulation Collaborative. Life does not exist without water! Complex physiological pathways regulate the movement of water, electrolytes, and other molecules through various compartments of the body as well as into and out of the body. The healthy individual is hardly aware of these intricate mechanisms—beyond, perhaps, the desire to drink when the body is dehydrated or the urge to urinate when the bladder is full. Patients with hypovolemic shock have severe hypovolemia with decreased peripheral perfusion. If left untreated, these patients can develop ischemic injury in their vital organs which in turn leads to multi-system organ failure (MOF). Water, the universal body solvent, accounts for half or more of body weight. Water is found within three main compartments. About two-thirds of body fluid is found within cells (intracellular fluid ICF). Blood plasma – fluid portion of blood found within the circulatory vasculature. Interstitial fluid – fluid in the spaces around cells. Includes cerebrospinal fluids, lymph, humors of the eye, serous fluid. Fluid is constantly moving between compartments. Not all solutes move freely between compartments. Water moves by osmosis from low solute concentration to high. Some solutes move by diffusion, down their concentration gradient. Some solutes move when hormones or other molecules open pathways through membranes e.g. glucose moves through muscle cell walls when insulin opens a channel. Some solutes move against concentration gradients. Energy is needed for these pathways e.g. potassium ions into nerve cells requires ATP. If water levels increase or decrease in any of the three compartments beyond normal values, changes in cell water concentration may occur and the patient becomes symptomatic. Blood is a viscous fluid that accounts for 8% body weight. Its volume in healthy males is 5-6 liters. Cells: White blood cells, (leukocytes), red blood cells (erythrocytes) and platelets. The color of blood varies depending on oxygen content – bright red for oxygenated rich blood and dark red for oxygen poor blood. Nutrients, ions, respiratory gases, hormones, plasma proteins and waste material. Blood supplies oxygen to the tissues. Oxygen supply must match oxygen demand. If blood volume is lost, oxygen supply will be lowered. When tissues are oxygen deprived, metabolism changes and acidic molecules are produced. The larger molecular components in blood create an osmotic force which tends to keep water within the vasculature. When blood proteins are low, water crosses into the interstitial space around cells and edema can occur. Low total blood protein levels may be found in patients with liver disorders, kidney disorders, or diseases where protein absorption from the gut is affected (e.g. inflammatory bowel disease). Malnutrition is another cause. Cardiac output – the volume of blood ejected from the left ventricle in one minute. Frank-Starling Law: Stroke volume of the heart increases in response to an increase in the volume of blood in the ventricles (end-diastolic volume). This mechanism ensures that flow into the right side of the heart matches flow out of the left side of the heart. Within limits as cardiac preload increases, stroke volume and cardiac output increase. Alternatively, when hypovolemia occurs, preload is reduced and cardiac output goes down. Hypovolemia occurs when blood or fluid is lost from the vascular system. In hypovolemic shock, severe hypovolemia leads to decreased peripheral perfusion which, left untreated, can lead to ischemic injury of vital organs and multi-system organ failure (MOF). Internal blood loss – GI bleed, ectopic pregnancy, bleeding from surgical intervention, or vaginal bleeding. Most of the 3-6 liters of fluid secreted into the GI tract daily is absorbed back into the circulation – only 100-200 ml passes out with stool. Significant fluid loss occurs when excessive vomiting, diarrhea, or external drainage via stoma or fistulas prevents reabsorption. Renal losses. Normally, the kidneys excrete sodium and water in a manner that matches intake. Diuretic therapy or osmotic diuresis from hyperglycemia can lead to excessive renal sodium and volume loss. Sweating – as much as 1-2 liters per hour. Fluid sequestration. Fluid can move out of the vasculature and become “hidden” in other body areas. Effectively, this leaves a low vascular volume which the body interprets as hypovolemia e.g. intestinal obstruction, pancreatitis, obstruction of a major venous system, or any other pathological condition that results in a massive inflammatory response. Understanding the physiological basis of scenarios helps simulation staff ensure that scenarios are consistent with actual clinical finds. As fidelity increases, learners are more likely to suspend disbelief, become totally involved in the situation and treat the learning experience as a live patient situation. Part 6 of the Series Physiology, The Force Behind Simulation will discuss the response, treatment and incorporation of hypovolemia into simulation. Further reading comes from “Traumatic hypovolemic shock: Halt the downward spiral” by Jeff Strickler MA, RN, CEN, CFRN, EMT-P: “A voice on the EMS radio interrupts your thoughts: “Med 2 en route with 21-year-old male involved in motorcycle crash. Patient was wearing helmet and had no loss of consciousness. At present he is conscious, alert, and oriented, but complaining of abdominal pain. Heart rate 110 bpm with BP 120/90. ETA 5 minutes.” You rush to assist with setting up the trauma room. Moments later, your patient arrives, appearing anxious and complaining of severe abdominal pain, which he rates at 8 on a 0-to-10 pain intensity scale. You note his skin is pale and diaphoretic.